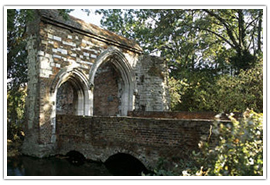 Essex is a county crisscrossed with rivers and waterways which lies to the east of London. The region has a coastline which extends for more than three hundred miles around the eastern and southeastern edge of the county. The region is famous for being home to the largest number of mud flats and salt marshes in the country, which in turn are home to a variety of different species of animals. It is also home to the fabulous and ancient forest of Epping known to be the largest expanse of public green area in the whole of the London area. Epping Forest has also been designated a site of specialist scientific interest as well as an area important for the conservation of both flora and wildlife. The county is rich in flora and fauna, including several species so rare they are not seen anywhere else in the country. Travelling by train from London the journey will take around 30 minutes, or around an hour by road. 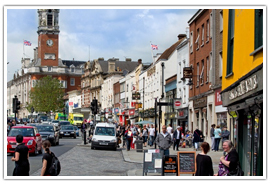 There are a number of towns in the county to explore each with their own attractions. The main town in the county, Chelmsford is a town with a strong industrial heritage, details of which can be seen in the Chelmsford Museum. The town contains many old buildings and in the walls of Old Saints Church ancient roman tiles can be seen included in the building materials. 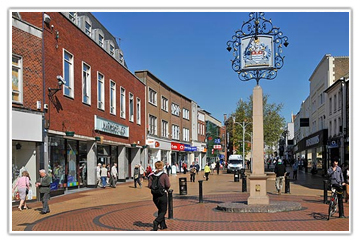 Chelmsford was where Marconi made the first radio broadcast. The town is also home to the annual and hugely popular ‘V’ music festival. 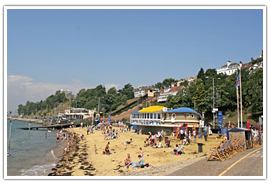 A popular coastal resort town, Southend-on-Sea attracts millions of visitors every year. The town is famous for its Victorian pleasure pier which is the longest of its kind in the world. 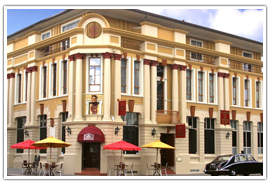 It is also known for the attractions and arcades which are situated along the town’s ‘Golden Mile’ which stretches along the sea front. 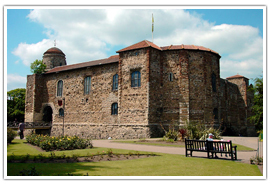 Britain’s oldest recorded town; people come here to enjoy the heritage and history of the town in attractions such as Colchester Castle, but also the more modern attractions like Colchester Zoo. It is a town as famous for its locally sourced oysters, as it is for being in the heart of ‘Constable Country’ as much of the landscape has been immortalised in his work. Despite being so close to the country’s capital there are many gardens and green spaces to be enjoyed. Located on the outskirts of Saffron Walden Audley End is a wonderful example of a Jacobean dwelling. Regarded as being the largest building of its type in the country, it was constructed in 1603 under the orders of the Lord Treasurer. It sits surrounded by Capability Brown landscaped gardens and a fabulous walled kitchen garden. The gardens are open daily between 120am – 6pm. Work began on creating these stunning gardens more than 50 years ago, and what was once a piece of overgrown and neglected wasteland is now home to wonderfully landscaped gardens filled with unique planting arrangements. Located in Elmstead Market in Colchester, the gardens are open between March – October from 9am – 5pm and November – February from 9am – 4pm. 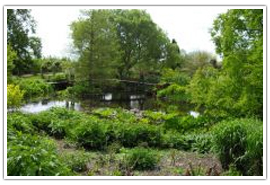 Located in Rettendon in Chelmsford these gardens are maintained by the RHS (Royal Horticultural Society) and as they are sited on the top of a hill, offer views across the beautiful Essex countryside. 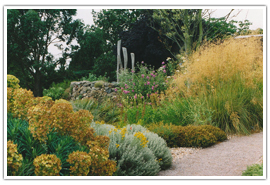 One unusual feature is the Dry Garden, planted out with drought resistant plants. 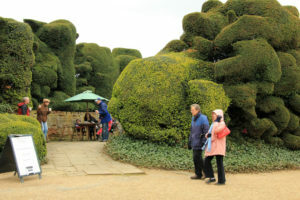 Visitors can also enjoy a traditional rode garden and farmhouse garden as well as other themed areas. The gardens are open across the year from 10am – 6pm, closing at 4pm during the winter months. Constructed in 1085, Colchester Castle Keep was constructed on top of the site of an earlier Roman Temple, the Temple of Claudius. The castle keep now houses the castle museum which explains not only the history of the castle, but also the areas strong Roman connections. 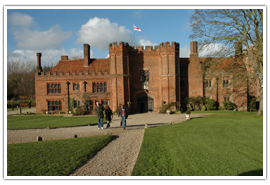 The castle museum is open Monday – Saturday between 10am – 5pm and Sundays from 11am – 5pm. Visit http://www.cimuseums.org.uk/castle for more information. Constructed in 1030, it is believed to be the final resting place of the body of King Harold, slain by William the Conqueror as depicted in the Bayeux tapestry. The abbey ruins are sited next to the remaining ancient Norman church along with King Harold’s Bridge and other historic parts of the abbey. Open daily during daylight hours; visit the English Heritage website for more information. A fabulous heritage railway complete with steam engines and period station buildings. Even when the trains are not running the stations are still open to visitors. 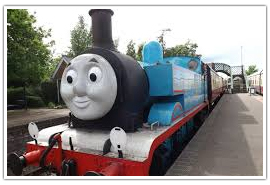 Located at Castle Hedingham Station, visit http://www.colnevalleyrailway.co.uk/ for more details. 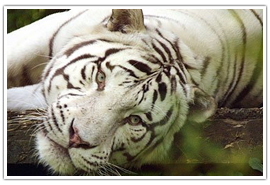 A great day out for all the family, meet more than 250 different animal species who all live within 60 acres of landscaped surroundings. Learn about your favourite animal and discover more about life in the zoo. The zoo is open daily from 9am, visit http://www.colchester-zoo.com/ to find out more. There are plenty of activities to enjoy which will keep the whole family entertained. 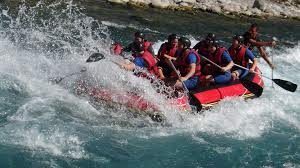 Head to the Lee Valley White Water Centre at Waltham Cross and try your luck on an Olympic standard white water course. 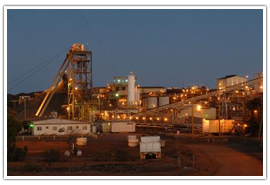 It is an adrenalin fuelled experience not to be missed. Slightly more sedate options of kayaking and canoeing are also available. Find out more on the Lee Valley website. Located in Wickford, Action Park offer a range of outdoor activated for all the family including archery, motocross and an army assault course as well as fast paced quad biking. 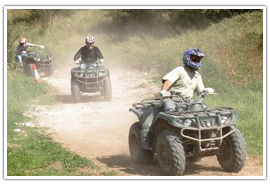 Children have their own quad biking track on 50cc bikes while the adults get to ride the more powerful 90cc models on a choice of all weather or indoor tracks. Visit http://www.actionpark.co.uk/ for more information about available activities. Visit the Imperial Bird of Prey Academy in Billericay and get up close and personal with some of nature’s most impressive predators. Enjoy flying displays and get hands on with these amazing creatures in one of the centre’s experience packages. 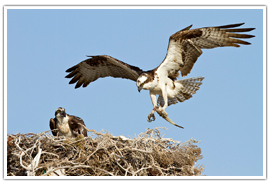 For more information visit http://www.essexfalconrydays.com. 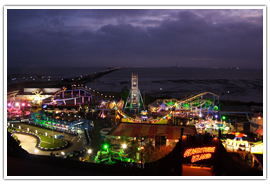 Located in Southend-on-Sea this is a family theme park which offers fun and laughter whatever the weather. There is no entrance fee changed for visiting the park, just more than forty fun filled rides for the whole family to enjoy. Visit http://www.adventureisland.co.uk/ for more details. Take a break and treat yourself to a traditional to a traditional English high tea. 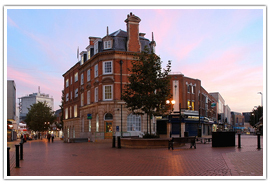 Located in Chelmsford town centre afternoon tea is served from 3.30pm – 5pm daily. Enjoy a selection of mini cakes, fresh cream scones and finger sandwiches with your choice of tea or coffee for £12.50. Visit http://www.countyhotelchelmsford.co.uk/ for further details. Located on the outskirts of Colchester Wivenhoe house is reputed to be the oldest surviving town house of the like in the UK. Enjoy afternoon tea in surroundings painted by Constable himself. Indulge in a selection of finger sandwiches, cakes, pastries and delicious apple and cinnamon scones with clotted cream. Served daily between 2.30pm – 5.30pm afternoon tea here costs £17.50. 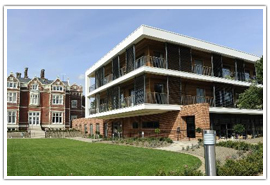 Visit http://www.wivenhoehouse.co.uk/ for more information. Plan your special day in some of the regions most desirable and award winning wedding venues. 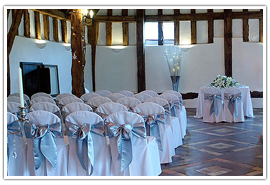 Located in Chelmsford, this venue offers the wedding party the exclusive use of a beautiful Tudor mansion. The mansion is nested within a full 40 acres of beautiful lake filled grounds and gardens. There are five settings within the mansion in which the ceremony can be held, so the day can be tailored to the needs and size of the wedding party. paired with stunning landscaped grounds and gardens you have everything you need for a wedding you and your guests will remember. Located in Sudbury, just on the Essex/Suffolk border, Smeetham Hall Barn is a fabulous 16th century barn which has been converted into a tailor made, romantic wedding venue. The vaulted ceilings complete with exposed beams makes the ideal rural wedding setting. 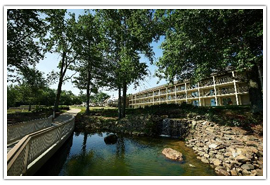 There are no shortage of campsites and holiday parks in the county, whether you travel with a tent or a mobile home. 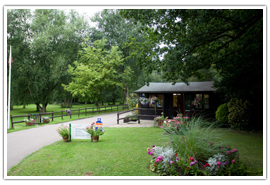 • Kelvedon Hatch Camping and Caravanning Club Site – Kelvedon Hatch, Brentwood, Essex. 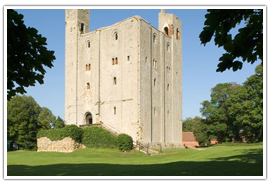 • Four Winds Certificated Site – Castle Hedingham, Essex. • Crackstakes Farm Certificated Site – Little Clackton, Clackton-on-Sea, Essex. • Mossford Green Nursery Certificated Site – Theydon Bois, Essex. • Little Henham Hall Farm Certificated Site – Little Henham, saffron Walden, Essex. • Golden grove – Great Saling, Braintree, Essex. • The Strangers Home Caravan and Camp Site – Bradfield, Essex. 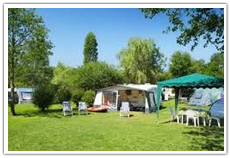 • Fen Farm Caravan Site – East Mersea, Colchester, Essex. • Eastland Meadows Country Park – Bradwell-on-Sea, Essex.